friends | La même lune. 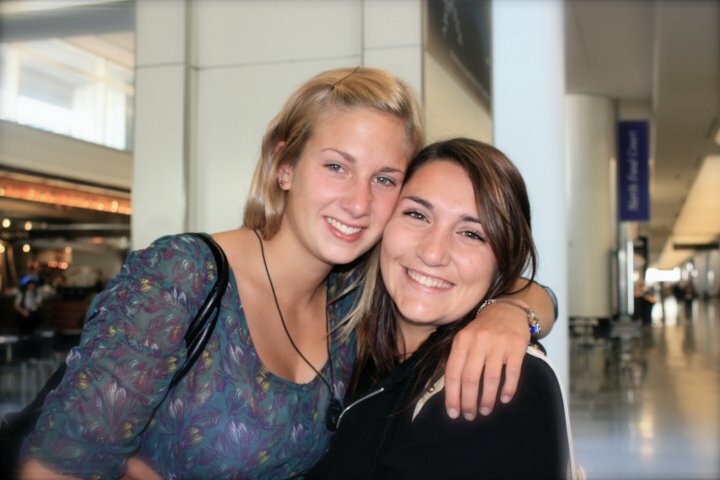 ”Those girls, later, became sisters to me. We didn’t go to the same school since I had a different visa than they did. They went to the ”cool” public school while I went to the boring Christian one (which wasn’t that boring. At least not all the time). I lived at Orton’s house for about two months. Again, I was not supposed to stay there, so meanwhile, I was looking for a new family to host me. I did enjoy living there even though I did have a few problems with Orton and his wife. A few big ones, too. But I will always appreciate everything they did for me. Orton was the one who told me I should apply for college there, helped through most of the process etc. 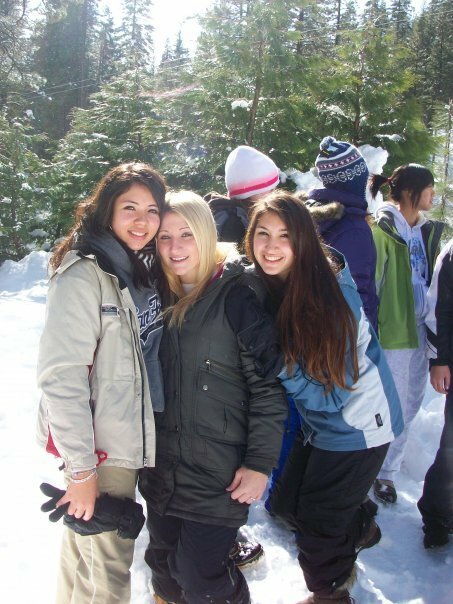 In February, was Alma Heights’ winter retreat, to Dodge Ridge. 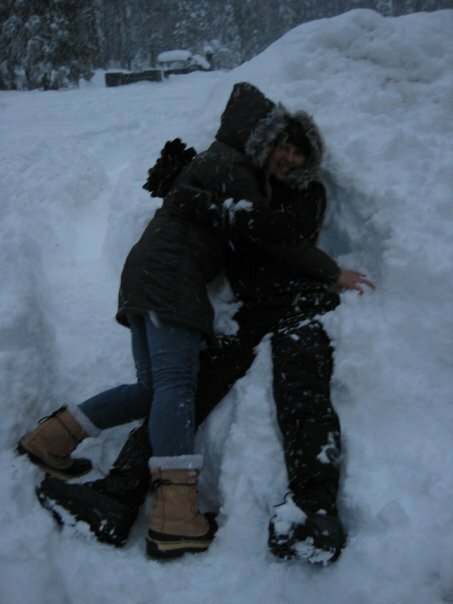 It was the fist time I saw snow in my life–where I live in Brazil, is pretty cold, but the last time it snowed I wasn’t even born yet. So when we were all in the bus and I saw the first snow flake fall, I had to try really hard not to act all stupid and overexcited, especially since everyone there had seen snow, they had snowboarded, had snow fights etc. I was excited, though. I thought it was simply beautiful. Everything was white, shiny… It sounds silly but it made me really happy. Well, I obviously did not have a lot of snow gear, really warm clothes, snow boots…I was absolutely unprepared for that trip. My friend Lucy was the one who acted all mom-like and gave a beanie, let me use her boots, a jacket, layers…everything I needed. That was my favorite thing about the people from Alma: they did not know how to be anything but nice. And believe me, when you are all by yourself, sometimes all you need is someone to make you feel safe, comfortable…like you’ve been friends forever. Lucy, Tati, Claire, Sara, Joy, Pei, Esther…they were those kind of people, they treated me like I was their best friend, not as if I was just some exchange student. I still talk to them, and miss them a lot. At this retreat, we had some activities (religious activities) like reading the bible, singing songs about Jesus and God and sharing how they have made a difference in our lives. The thing is… I am not religious. My entire family is Catholic, like most of Brazil, but I just don’t believe in anything. I do respect who does, though, I really do. I did all the activities, shared experiences, talked, asked questions about the things I didn’t understand and it ended up being an amazing experience. I heard people’s stories, their reasons to believe in God and it was very emotional for everyone. They shared things that hurt them in the past, they were trusting everyone there, and that touched me, too. The girls, my friends, they told me stories about their lives and all I could think of was ”How are they always smiling? This girls are amazing!”. After this specific activity where everyone cried and hugged, I got a little more emotional than I usually get, when I watched everyone call their parents to say hi, tell them how the retreat was… I had no one to call. Orton, his wife and Marilyn were in Hawaii, Martina was at a friend’s house… and my family was all the way in Brazil. That’s more than 6 thousand miles from Dodge Ridge. I felt so lost, so lonely….Everyone was super nice, hugged me, asked if I needed anything, but I just didn’t know how to explain what it was that I was feeling. That’s when the art teacher, Esther, came to talk to me. It was all so quick, we talked for two minutes and she told me she had already spoken to her husband and at that exact moment, he was cleaning the guest room at their house, for me to live there!!! I was shocked, it was a big mix of emotions. I was extremely happy, of course, but then I remembered I had to talk to Orton when I got back to Pacifica, and I wasn’t sure I knew what to say. But I decided that I was not going to think about that, at least not till the retreat was over. So I enjoyed every second, made amazing friends, had the best time….I had finally found a host family! 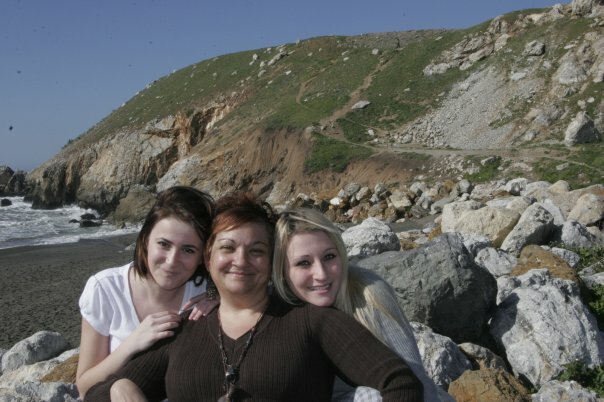 Eva (exchange student from Albania) and Esther (my host mom) and the blonde...me! Tati, me, Lucy! Most amazing girls ever! Me and Sara and the beautiful SNOW!!! !